Louisiana author Brent Engel’s latest book was published Monday, Nov. 27. The 156-page volume is entitled “A Few More Augusta Stories” and features more than 40 historical accounts of his Illinois hometown. The book costs $25 and is his second about Augusta. 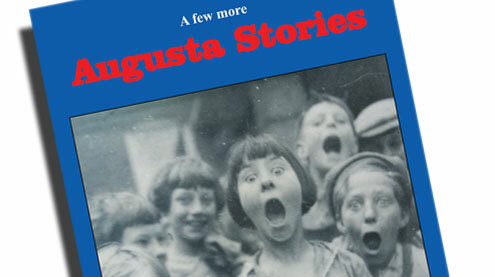 “A Few Augusta Stories” was published last year. Engel’s other books are focused upon Pike County. “John Brooks Henderson: A Life of Service to America” was published in 2013 and tells the remarkable tale of the Louisiana legislator who drafted and introduced the 13th Amendment outlawing slavery. “One More Thing” came out in 2015 and highlights a variety of headline-grabbing murder cases and profiles of Pike County people. Engel has also written numerous stories for newspapers and magazines, and have presented historical talks at regional club and organization meetings. Engel said some of the topics covered in the new book he had heard about but needed to delve further for details. He added that he also found some things he wasn’t aware of at all. “Sometimes, the best stuff is right in front of your face,” Engel remarked. “I like to say that you don’t have to be from Augusta to like my Augusta books, but once you read them, you’ll wish you were from there,” he added. Engel has a bachelor’s degree in journalism and spent nine years as a print journalist at The Quincy Herald-Whig and Hannibal Courier-Post, and spent five years as an assignment editor and journalist at KHQA TV in Quincy. He has 17 years combined service as public relations officer at NECAC. Engel is a member of the Pike County Bicentennial Commission, the Louisiana Bicentennial Commission, the Louisiana Area Historical Museum Board and the Champ Clark Honey Shuck Restoration Inc. Board. Engel is considering another book on Pike County. He considers “One More Thing” to have been an delight to write. He said he hopes readers picked up on his enthusiasm during that project and noted that he just scratched the surface with the publication. “I’ve been asked several times to do more about John Brooks Henderson, whom I consider one of Missouri’s most overlooked success stories. He was orphaned at 10 and could have easily drifted into obscurity. Instead, he got an education, became a lawyer and later drafted and introduced the document that set an entire people free. In addition, he worked on women’s voting rights, fought against federal tax cheats and dealt constructively with Native American affairs. I think that deserves a lot more recognition than it’s gotten,” he said. “I don’t presume to know anything close to everything about history, so I love it when people come up to me in the store and talk about a potential story. And I encourage people to take what I’ve written and expand upon it. You can never have too much history,” he added. Engel credits the Pike County area for having an amazing number of talented writers from which he’s learned much. Engel dedicates all of his books to his son Adam. 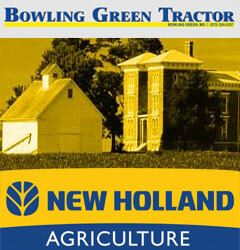 More information is available by calling Engel at 573-754-2022.